Orchestra Seattle and the Seattle Chamber Singers form a partnership unique among Pacific Northwest musical organizations, combining a 70-member orchestra with a 55-voice chorus to perform oratorio masterworks alongside symphonic repertoire and world premieres by Seattle-area composers. George Shangrow (1951–2010) founded the Seattle Chamber Singers in 1969, when still a teenager. The group performed a diverse array of music, from works of the Medieval, Renaissance and Baroque periods to contemporary pieces and world premieres, partnering with an ad hoc group of instrumentalists to present Bach cantatas and Handel oratorios — many of which received their first Seattle performances under Shangrow’s direction. A decade later, in 1979, Shangrow formed an orchestra at the request of those musicians who frequently accompanied the Seattle Chamber Singers in oratorio repertoire. Originally called the Broadway Symphony (after the Broadway Performance Hall on Seattle’s Capitol Hill, where it gave its first concerts), the group changed its name — to Orchestra Seattle — at the beginning of the 1991–1992 season. With Shangrow on the podium (or conducting from the harpsichord), OSSCS became renowned for performances of the Bach Passions and numerous Handel oratorios — particularly Messiah. During the “Bach Year” of 1985, the ensembles presented 35 concerts devoted to dozens upon dozens of Bach’s works to celebrate the 300th anniversary of the composer’s birth. Over the past four decades, OSSCS has performed all of the greatest choral-orchestral masterpieces, from Beethoven’s Ninth and Missa Solemnis to Stravinsky’s Symphony of Psalms, Mendelssohn’s Elijah to Brahms’ German Requiem, and Haydn’s The Creation and The Seasons to Britten’s War Requiem. Meanwhile, Orchestra Seattle, partnering with world-class soloists, explored the symphonic repertoire, programming beloved warhorses alongside seldom-performed gems. Throughout, Shangrow championed the music of local composers (especially Robert Kechley, Carol Sams and Huntley Beyer), presenting well over 100 world premieres. George Shangrow lost his life in a car crash on July 31, 2010, an event that shocked not only OSSCS musicians and our audiences, but the entire Pacific Northwest musical community. Over the ensuing three seasons, the volunteer performers of OSSCS partnered with a number of distinguished guest conductors to carry on the astounding musical legacy Shangrow created. 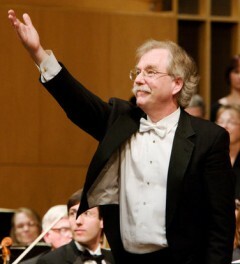 A search process during the 2012–2013 season led to the selection of Clinton Smith as the second music director of Orchestra Seattle and the Seattle Chamber Singers. Clinton led the ensemble for four years. 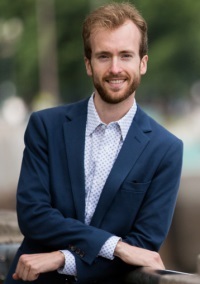 The 2017–2018 season brought four music-director candidates to the OSSCS podium, resulting in William White being named music director and principal conductor of Orchestra Seattle and the Seattle Chamber Singers beginning with the 2018–2019 season.